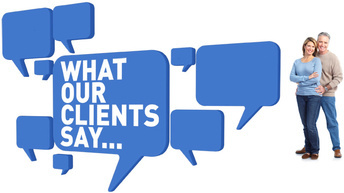 Client Testimonials - Robert Nichols Insurance Group, Inc.
"I have been so impressed with the Personal attention given by Rob - I was at first shocked by this but then came to know that this is just the way Rob does Business. You cannot go wrong here for service and price!!!!!!" "We appreciate your help, Rob. It's so nice having an agent that handles our problems for us (instead of one who creates problems!)" "Rob, if you treat all your clients the way you do us, you'll never have to advertise again." "An insurance person that knows how to keep clients AND inspectors happy!!"